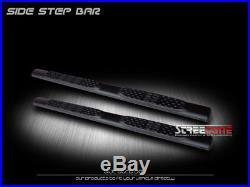 5 Matte Blk Side Step Nerf Bars Rail Running Board 99-18 Silverado Extended Cab. 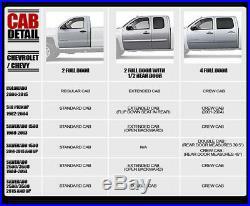 Will Fit Extended Cab Models With 2 Full Size Front Doors & Half Size Backward Doors. 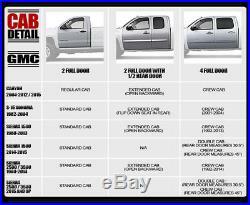 Will Not Fit Crew Cab Models With 4 Full Size Doors That Open In The Same Fashion. STYLE: 5 Inch Side Step Nerf Bars COLOR: Matte (Satin Black) FEATURE. Oval Style Side Step Bar. Oval Design Provides A More Secure Area. Heavy Duty Steel With Flat Black Fine Shimmering Finish. They offer a wide step with treaded pads, allowing for excellent gripping capabilities in any weather condition. The added safety benefit exists without damaging your truck. 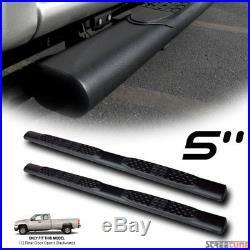 The item "5 Matte Blk Side Step Nerf Bars Rail Running Board 99-18 Silverado Extended Cab" is in sale since Saturday, November 01, 2014.